An afternoon at the Midlands Model Engineering Exhibition. The event this year, 2016, was rather quieter than last year and did not feel like it had the number of stands or models. I did go fairly late on the Friday afternoon and so maybe that is some of it. I purchased this solid carbide roughing endmill, sometimes described as a ripping cutter. The basic idea is that when cutting multiple teeth are in action and cutting the material at slightly different points and time and hence this reduces chatter and vibration. 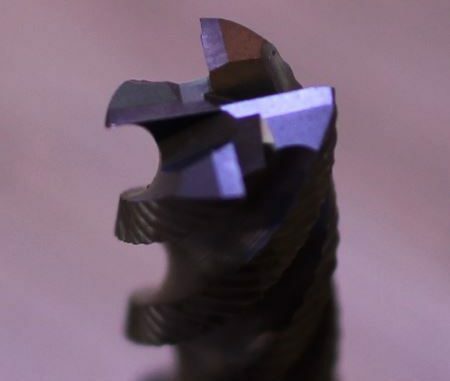 These smaller multiple teeth also lower the shock load during the cutter rotation, thus enabling a heavier cutting load. 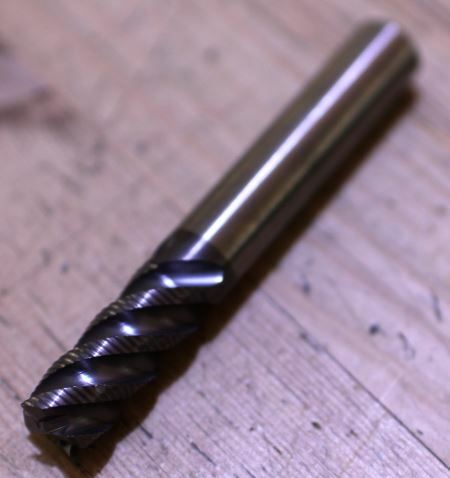 Removing material with heavy milling cuts is also called hogging. Have been making models since I was around 7 years old and using a lathe from the age of 11, a self taught engineer with a passion for making model engines.